Bendekai gojju / Bendekayi gojju is a Karnataka specialty. 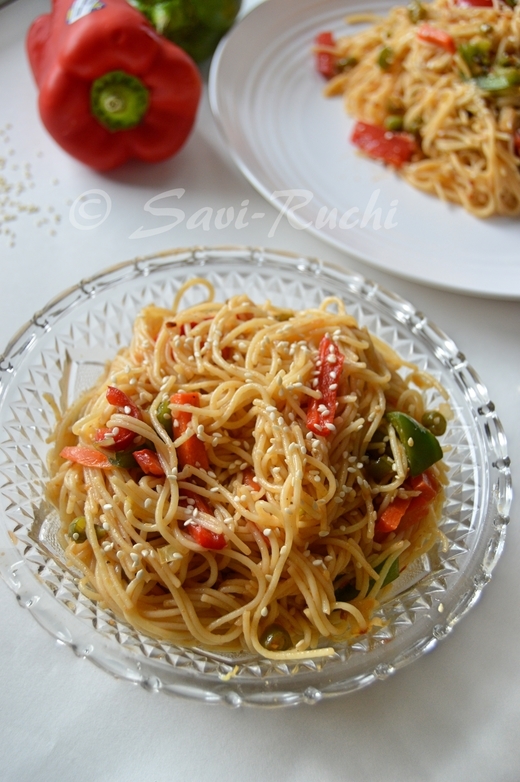 It is spicy, sweet n sour & blends beautifully with the stir fried okra. Each & every member of my family/extended family prepare this gojju & I haven't heard from any of them not liking it.. Some love to eat them with akki rotti, some with white rice & some more with chapathi/roti. I love to eat them with all of them. 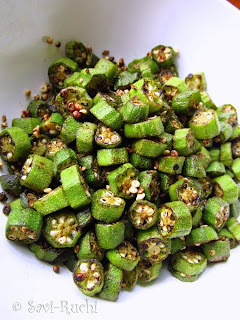 Chop the okra into thin slices. (about 1/4th of an inch). If you are handling the okra for the first time, refer to the notes below before doing anything. It is that important!! Heat the oil in a small pan. 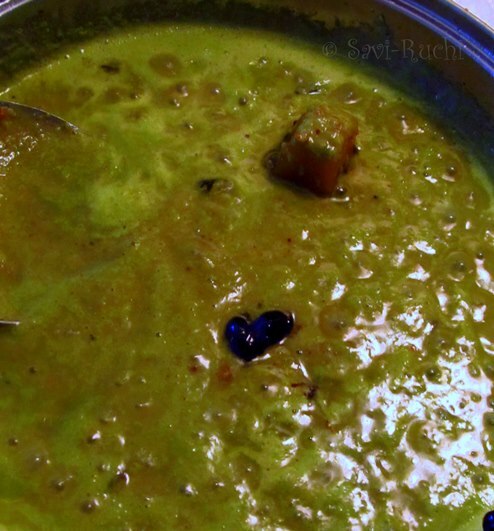 When the oil is hot, throw in the channa dal & urad dal. 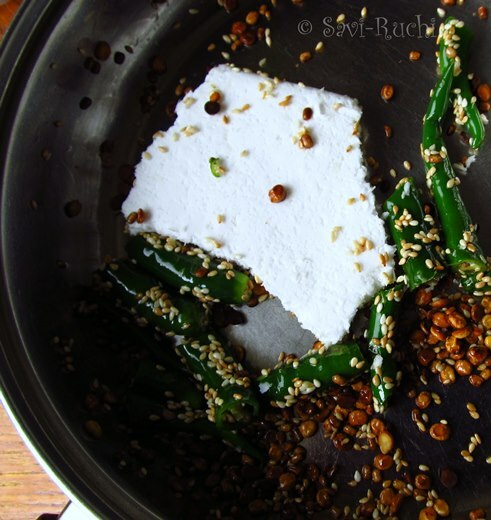 When they turn light brown, add the sesame seeds & broken green chilies. Turn off the heat after 30-40 secs. Let it cool. Throw in the coriander leaves, grated coconut & the roasted dal + green chilies to a food processor jar. Add about 2-3 tbsp water & grind it to a smooth paste. In a broad pan, add oil & saute/stir fry the okra slices on a medium-high heat until the okra is soft & crunchy. Transfer the fried okra to a bowl. Take another sauce pan, to prepare the gojju. Heat oil. When oil is hot, add the mustard seeds & curry leaves to it. When seeds crackle & leaves wilt, scoop in the spice paste, add the salt, jaggery, tamarind extract, and add around half a cup of water to it. 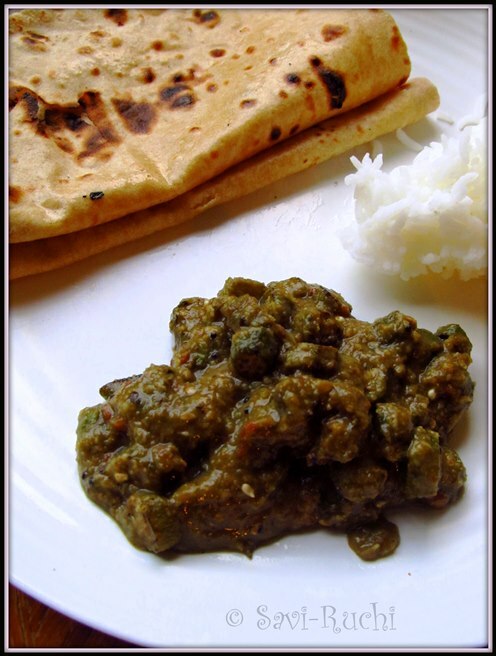 Cook on a low-medium heat until the raw smell of the jaggery & tamarind disappears. Throw in the fried okra to the sauce & boil it on a medium heat. Once it starts boiling, turn off the heat. 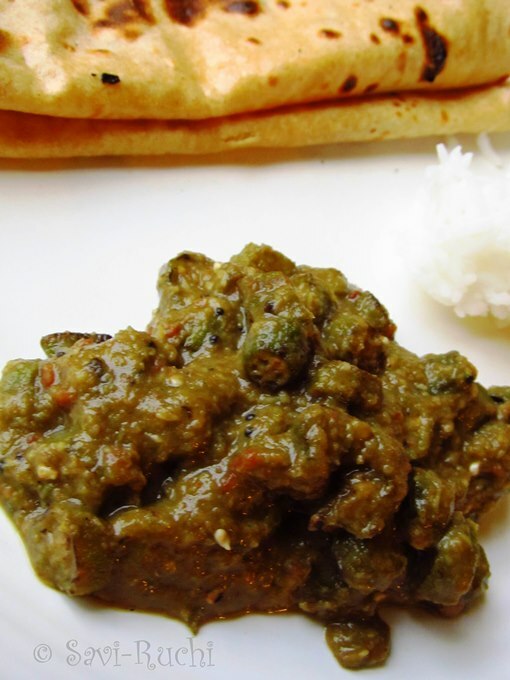 Serve it hot with rice, roti or akki rotti. As okra is used in a sauce, it is very crucial to remove the slime from the okra. Below are some tips to remove the slime from the okra. Never cut a wet okra. Keep the chopping board, knife & the okra completely dry. After washing the okra, dry them on a kitchen towel & wipe them all dry again before using. 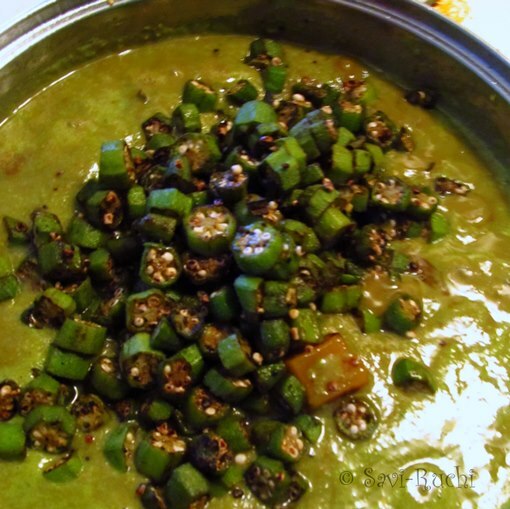 Use a broad pan to saute the okra. Add more oil & saute it on a high heat to remove the slime & keep the okra crisp. 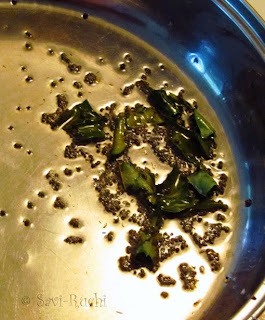 Adding a pinch of amchur powder/mango powder (easily available at Indian Stores) while sauteing the okra does the trick of removing the slime too. My other tips on how to remove the slime could be found here. Adjust the consistency of the sauce as preferred by your family. hmm!!! 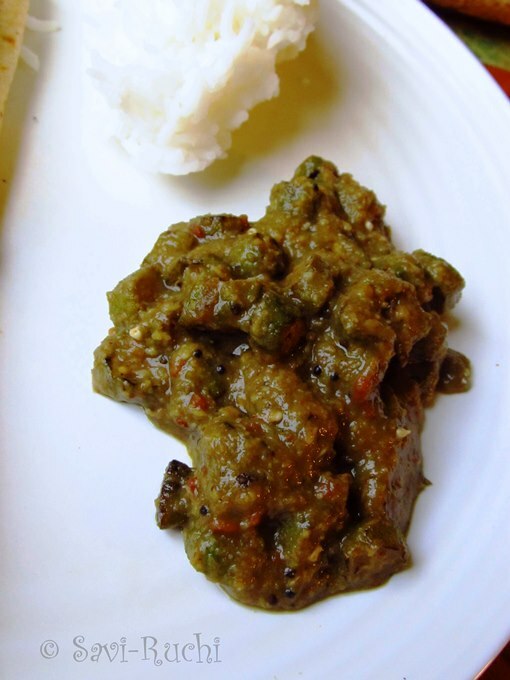 delicious... no okra in my stock.. so on next grocery i'll buy okra, and i'll cook this one..
Gojju looks yummy..adding uddinabele and kadalebele is new to me..very innovative dish. I am happy to find your blog because I love cooking specially 'Indian Recipes cooking show', 'Indian Cooking Recipe' I will love to follow your more recipes.